Alina Chase has spent her entire life in confinement. 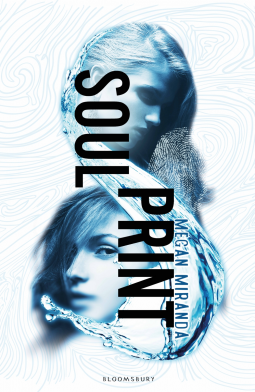 With the science of soul-printing now a reality, she is ‘protected’ for her own safety – and the safety of others – because her soul has done terrible things … or so she’s told. When Alina finally breaks out of prison, helped by a group of people with unclear motives, she begins to uncover clues left by her past life that only she can decipher. And she may not be as innocent as she once believed. Can Alina change her future, or is she fated to repeat her past and face the consequences? Megan Miranda brings the interesting and deeply soul searching idea of the ability to catalogue who your soul was and what they were capable of doing in their past life. It is exactly her souls transgressions in her previous life which ends up with Alina confined on an island and as having been sheltered, yet told of all of what her soul has done she feels a sense of loss of self, and wonders, does anyone see her as Alina or just the housing of June’s soul? (June being the previous holder of Alina’s Soul). The writing throughout this book is personable and raises questions to the reader about just how would it feel to know your past soul was a murderer or a greengrocer owner and how it will impact on the life you are living. Her style also grips you and carries you throughout the whole story, where we see a couple twists and turns and as more is unveiled you also want to find out, just who is behind it all. The plot was interesting and action packed with enough ideas and possibilities to keep you wondering and guessing throughout. There were one or two times I put the book down and went, “is it going to move on again?” as the pace had left it for brief periods of time, although when it got going again, it rolled fast and exciting. Her character development of Alina and the three side characters were deeper than many authors care to go and allowed for a rounded perspective of why they would do such a thing and why Cameron feels the way he does about Casey and Alina. We also find out the motivations behind Dominic’s actions and feelings about Alina, although I refuse to spoil them for you. Overall this book had be gripped and was devoured quickly and happily. It was able to raise some questions and ideas about where will science take us, and what are the moral consequences of how far we go? Will Alina follow in June’s footsteps or will she forge her own life?